Penguin chicks, squirrel monkeys and tigers were just some of the creatures who had their vital statistics recorded at ZSL London Zoo’s 2018 annual weigh-in today (Thursday 23 August). With different personalities and temperaments to take into account, zookeepers used ingenious tactics to entice the animals to stand up and be measured. The Zoo’s colony of Humboldt penguins neatly lined up to step on the scales before receiving a fishy reward each, while the black-capped squirrel monkeys and meerkats proved a little trickier for their zookeepers – all jumping on their scales at the same time. Sumatran tiger Jae-Jae showed off his strength as he carried all 135kgs of his own weight 15ft up a tree to find his breakfast, before okapi Oni stepped onto giant camouflaged scales in her paddock where she was treated to some fresh leafy browse. The Zoo’s all-girl group of giraffes Maggie, Mollie and Ellish were enticed with some juicy fresh veg over to a very tall ruler to measure their height, while invertebrates such as the Giant Asian stick insect and the Giant West African land snail were weighed with a variety of household scales. With more than 19,000 animals in their care, ZSL London Zoo’s keepers spend hours throughout the year recording the heights and weights of all the animals, information which helps them to monitor their health and well-being. The annual weigh-in is an opportunity for keepers at ZSL London Zoo to make sure the information they’ve recorded is up-to-date and accurate - each measurement is then added to the Zoological Information Management System (ZIMS), a database shared with zoos all over the world that helps zookeepers to compare important information on thousands of endangered species. ZSL’s Zoological Manager, Mark Habben says: “We have to know the vital statistics of every animal at the Zoo – however big or small. “It helps us to ensure that every animal we look after is healthy, eating well, and growing at the rate it should – weight is a particularly important indicator of health, and we can even detect pregnancies through a growing waist line! 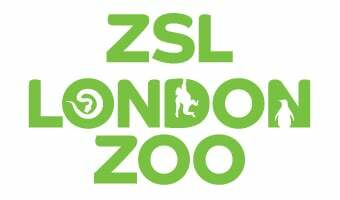 Monitoring the animals’ general well-being and identifying possible pregnancies is also important as many of the species at ZSL London Zoo are endangered and part of international breeding programmes.